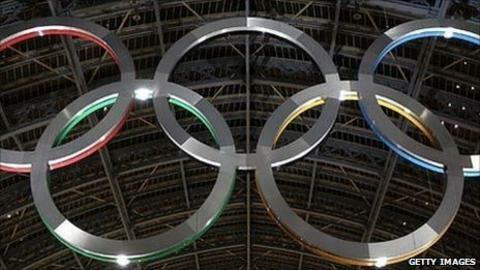 Proposals for a European Games are being put forward by Irish International Olympic Committee member Patrick Hickey. The 65-year-old is hoping to set up an event that would incorporate all the main Olympic sports. The plans are currently undergoing a feasibility study by Deloitte. Hickey's proposal is thought to have the backing of IOC president Jacques Rogge and it is likely to be put to a vote in November. If successful, the Games could either be in addition to individual events such as the European Athletics Championships and European Swimming Championships or possibly even replace them. Hickey, who is the president of the European Olympic Committees, revealed that he has the support of 47 of the 49 European National Olympic Committees which will make the final decision. He described initial interest from sponsors as "colossal". "European results at Olympic Games are diminishing all the time. Whereas we used to win the most medals, we are now dropping out of that zone," he said. "We have a feeling that a European Games can be used to spark European supremacy again at the Olympic Games." Other continents already have their own Games. Later this year the Pan American Games will be held in Mexico, the Pan Arab Games in Qatar and the All-Africa Games in Mozambique. The Asian Games took place last year in China. However, there are obstacles in the path of any European Games, with the main one being scheduling. The sporting calendar is already crowded and it would be difficult to add any additional events, meaning a European Games might have to replace existing events such as the European Athletics Championships. If this were to happen, those running the European Athletics Championships would seek compensation for lost revenue. Hickey is convinced that a European Games can make more money than all the current individual events combined, but Hansjorg Wirz, the president of European Athletics, has reservations. "Each sport needs an image," Wirz said. "Sport is existing to motivate people all the time, and if that gets lost because you don't have your own entity any more, your own image, your own competition, then that is an issue which has to be taken into consideration." If the plans for a European Games are successful the first event is likely to take place in June or September 2015 and London would be a leading candidate to host them, using the facilities built for the 2012 Olympics. Initially there will only be a summer Games, but the idea is that eventually there would also be a European Winter Games.